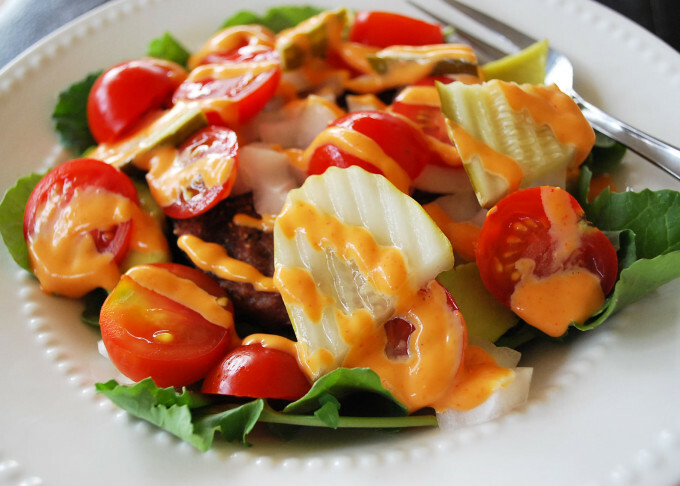 Burger salad is a low carb hamburger, served in a bowl! I love deconstructed hamburgers. You get all the delicious burger flavors, without the bun. 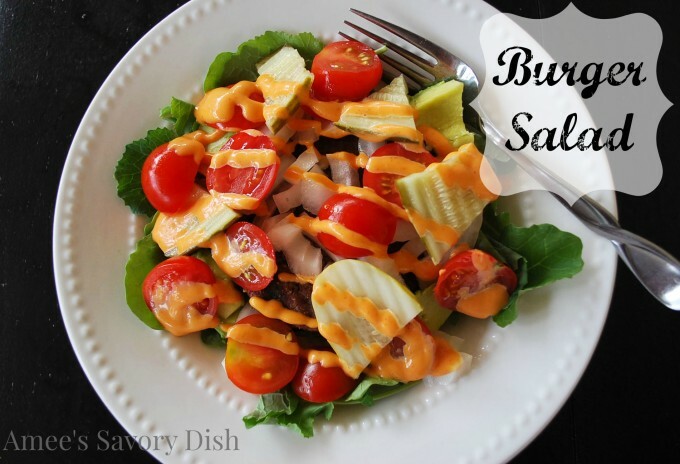 With kale for super green micronutrients and Sriracha mayo for incredible flavor, this tasty dinner salad recipe makes a nutritious and simple meal! Burger in a bowl? Yes, please! 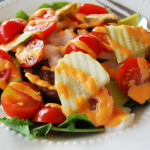 I hope you enjoy this burger salad recipe! Add all other ingredients on top and dig in! Love this, Amee! I make this sort of salad all the time with leftover steak. Why not burgers?! Salad and meat is the perfect combination! Thanks for coming and linking up at The Weekend Social. All posts get pinned in our pinterest board! Please be sure to come back next week starting Thursdays at 9PM EST on culinaryflavors.gr ! I hope to see you there!